We’re always searching for pet-friendly travel resources and this time, we have a solution that you may never have considered. 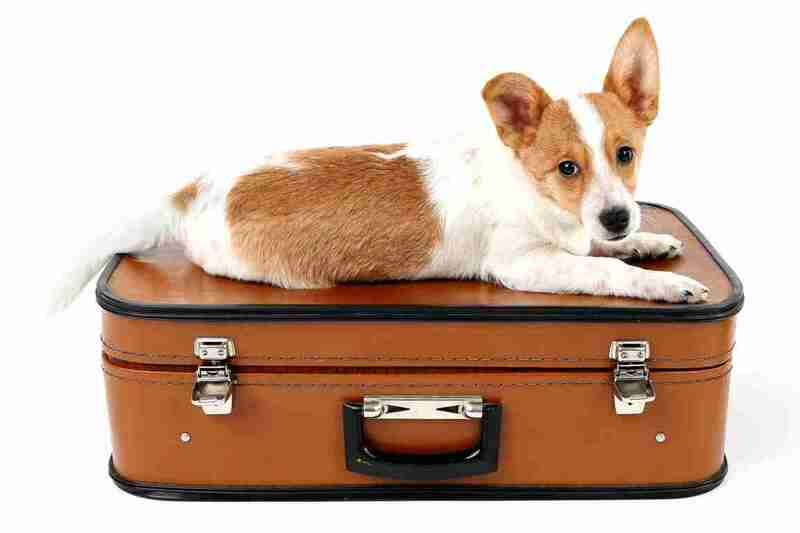 Many people don’t realize that many extended-stay hotels are pet-friendly. By definition, extended-stay hotels are meant to be “like home” and what could be more “homey” than your dog? In this podcast we interview Amanda Hurley of Sonesta. Amanda goes into detail about extended-say hotels in general and Sonesta ES Suites in particular. The full article associated with this podcast regarding Sonesta ES Suites can be found in Issue 12 of Little Pampered Dog. 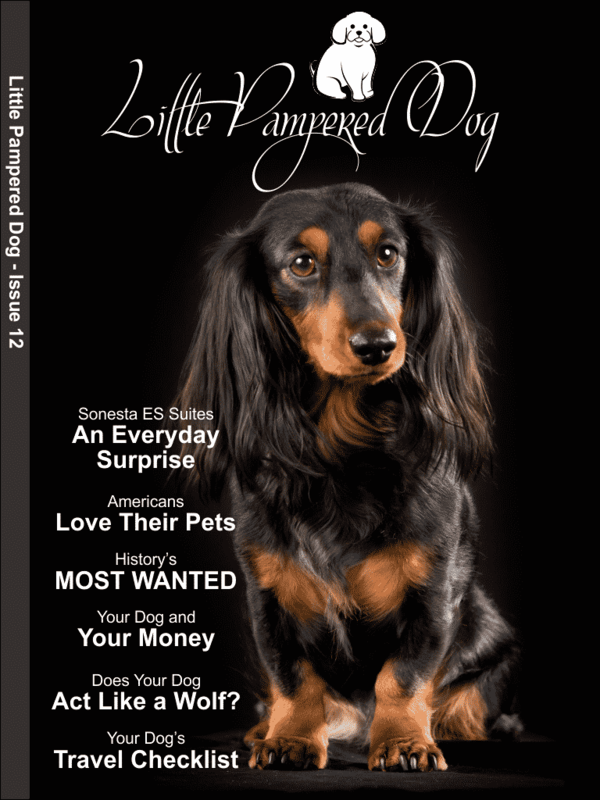 There’s a lot waiting for your and your dog in Issue 12! We have what is likely the most comprehensive travel checklist ever. The checklist article is more than a mere list of things to pack. Instead, we go into detail with links and resources about where you can get information on important paperwork that you need when traveling from one country to another or even state to state within the USA. If you are planning on traveling near or far ever with your dog, this article is an important resource that you’ll turn to again and again. We explore the similarities between dog and wolf behavior. Meet one of History’s Most Wanted dogs. This little mischievous Pomeranian was the beloved dog of one of the world’s most famous and impactful scientists. How amazing that throughout all time people have loved and treasured their dogs as much as you and I do today. Americans love their pets and we have the statistics to prove it. We are not all Americans here in the Little Pampered Dog community, but we started there and we’ll soon be reporting similar stats from other parts of the world. Likely the most important article we have ever produced is the one titled “Your Dog and Your Money.” Hopefully your dog has the perfect health forever. But in case something were to go wrong, we have a multi-pronged action plan for making sure that you can pay for your dog’s care. The plan doesn’t assume that you have a ton of money or are a person of means. Instead the plan takes into account every possible scenario in case something were to happen. This article was inspired by a conversation I had on Facebook with a childhood friend who adores dogs as much as you and I do. He told me to make sure that I planned ahead so that any decisions that needed to be made for Bella’s health was being made based on what was best for her and not what I could afford at the moment. Based on that conversation, I can up with this plan. Use this article as a starting point to craft a plan with help from your vet, financial and legal professionals. I really hope you invest in this issue to get this resource that you might find yourself referring over and over again. The best plans are made sooner rather than later. Start now. In short, I want this to be a very important resource edition for you and your dog.